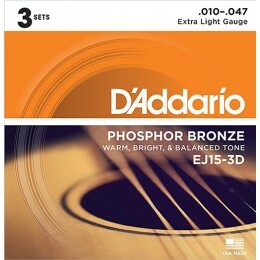 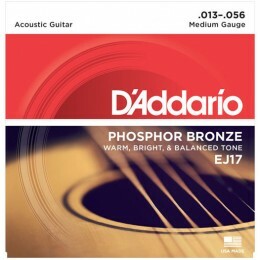 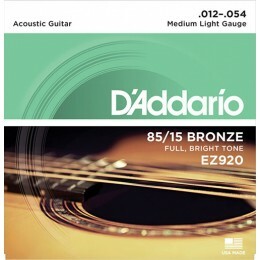 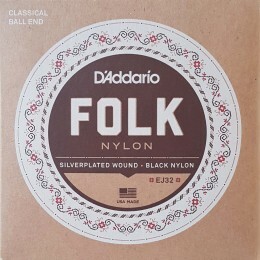 The D'Addario EJ26-3D pack gives you three sets of EJ26s and saves you money. Plain Steel .013, .017, Phosphor Bronze Wound .026, .035, .045, .056, Made in the U.S.A. Plain Steel .012, .016, Phosphor Bronze Wound .024, .032, .042, .053, Made in the U.S.A.
3 Set Multi Pack, Plain Steel .012, .016, Phosphor Bronze Wound .024, .032, .042, .053, Made in the U.S.A.
3 Set Multi Pack, Plain Steel .010, .014, Phosphor Bronze Wound .023, .030, .039, .047, Made in the U.S.A. Plain Steel .010, .014, Phosphor Bronze Wound .023, .030, .039, .047, Made in the U.S.A. 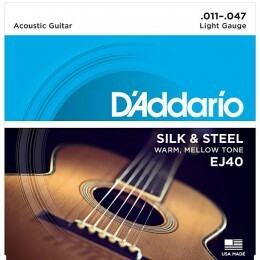 Here you'll find a selection of the most popular 6 string acoustic guitar sets available. All gauges can be found here, from standard 12-54 through to extra light and heavy gauges.